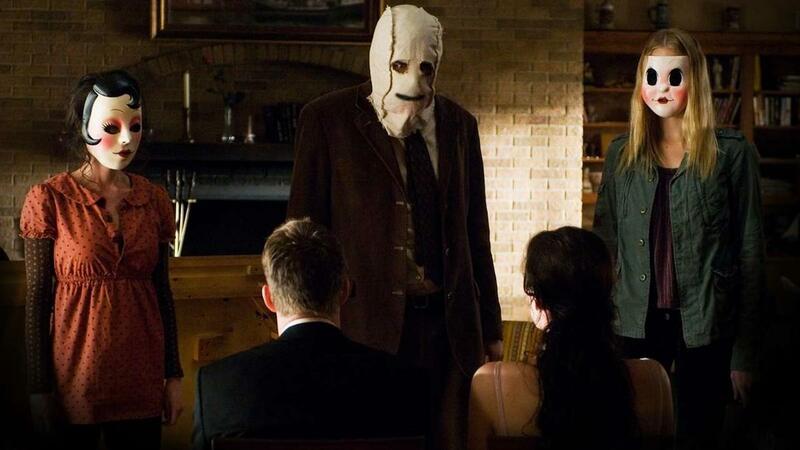 For this 'Ten Years On' post we take a look back at "The Strangers". I'll be honest wit you here, I actually thought this film was older than ten years, I could've sworn this was at least 12-15 years old but obviously I'm wrong and here we are. Home invasion films has always been a sub genre that has affected me more than other films, your home is supposed to be you safe space, your comfort zone and for someone who is a homebody watching this space be invaded can really shake you up. That's why I love watching them though, it hits me psychologically. So when I saw the trailer for this film it was an instant "I need to watch this" moment, I also remember this being a film trailer that broke through the barrier and became mainstream, people were talking about it and this caused audiences to flock to the cinema to see it and it soon became something of a hit. I think it's fair to say that when this feature came out it was a divisive film, viewers were polarized and I just never understood why. The other strange thing was that it was the Horror fans who seemed to be rejecting it and once again I never understood why, this has happened more times than I care to think about. Over the years the film has been more embraced and is stating to get the credit it deserved from day one, whilst I've never understood the hostility towards this film I am glad to see that it's finally getting recognition. It's a truly gripping film that I have never bored of watching, it also features an unforgettable ending. 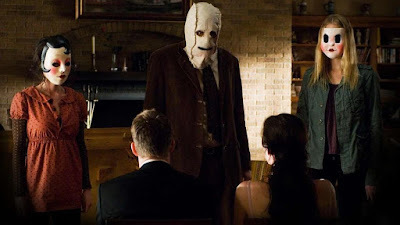 Ten Years on and "The Strangers" still makes for great viewing, there was a reason that fans were clamouring to see a sequel so badly for so many years, but that's a whole different story.